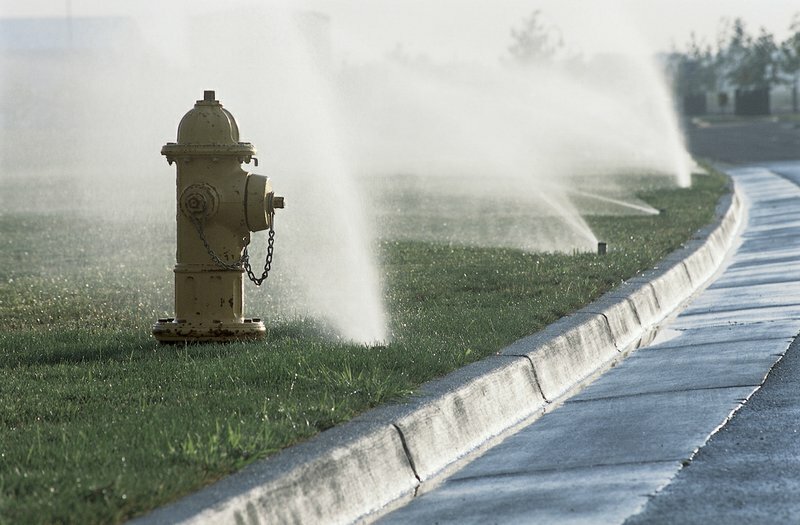 How many times have you driven past a property where the irrigation system is on during a rain storm or the jets are watering the street? The answer is far too many. The good news for homeowners is that there are solutions to this dilemma and cost savings to be achieved by managing and adapting your irrigation system to conserve water. Our groundwater is precious and limited and wasteful irrigation contributes to the pollution of nearshore waters such as Georgica Pond. The US EPA estimates that close to 50% of the water we use outdoors goes to waste either from evaporation or runoff due to overwatering. How much irrigation is necessary on the East End? Our mild maritime climate provides ample rain to sustain native vegetation and well-established plantings. The rule of thumb is that one inch of rain per week is sufficient for most gardens. Rainfall is distributed fairly evenly over the year but not always when it’s most needed; at those times and for new plantings and lawns, irrigation can make a difference. Don’t turn it on until it’s needed. Mid-June, July and August are the months when it is really needed. Add a rain sensor to your irrigation system or a weather-based SMART irrigation controller. Reduce your lawn area and replace with groundcovers and shrubs, especially native plants. Water your lawn only twice per week for 1 hour. You want to mimic a good soaking rain. Don’t irrigate for 15 minutes every day. Watering long and deep encourages deep roots and a healthier lawn. Visit Healthy Lawns, Clean Water. 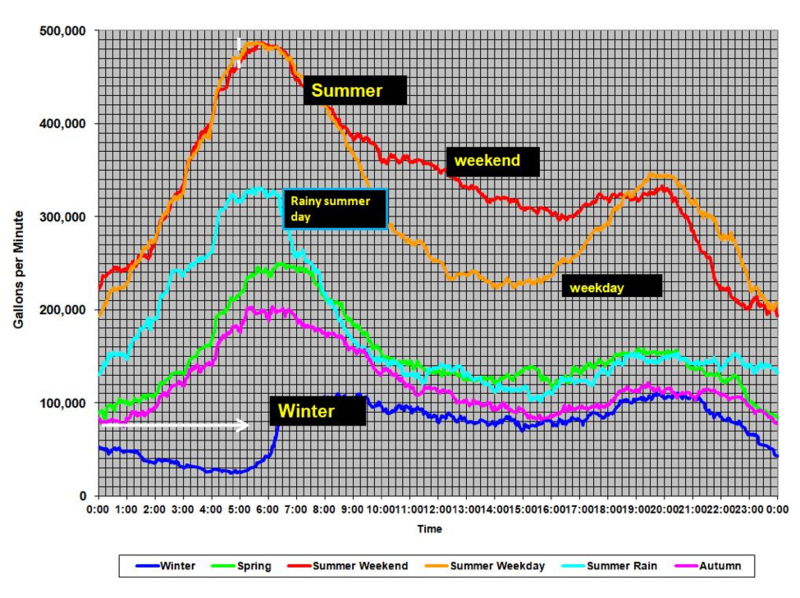 This graph clearly shows the increase in use of water during the summer which peaks in the early morning hours when most people irrigate their lawns. The blue line shows the amount of water the Suffolk County Water Authority (SCWA) has to pump to irrigate lawns even on rainy summer days! For helpful information on conserving our drinking water visit the SCWA website www.scwa.com.